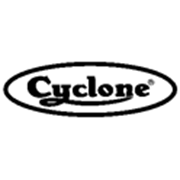 Cyclone fibreglass insect screening products are precision woven, using the highest quality materials, for consistent reliability and lasting performance. With PVC coated yarn it is pliable and flexible with impressive visibilty through the screen. It is also UV stabilised to ensure a long life span. This standard screening prepack is economical, including the roller and spline required for easy installation. In a convenient 1220mm x 2.05m length it can be used for screening one door or window.